Whether you have a stake, rack truck or a flat bed carrying tarped loads, we’ve got you covered. 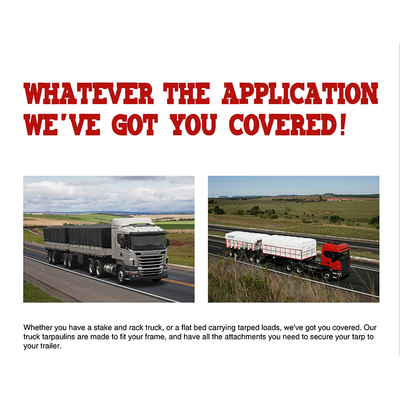 Our truck tarpaulins are made to fit your frame, and have all the attachments you need to secure your tarp to your trailer. *Above test report is based on 800gsm PVC coated Tarps.